A security breach or loss of data can significantly impact on your organisation and cause serious harm across every level, from loss of capital and reputation to a loss of staff confidence and well-being. Where does responsibility for information assurance/data protection lie within your organisation? Are there effective lines of communication between security managers, information security leads and senior management? 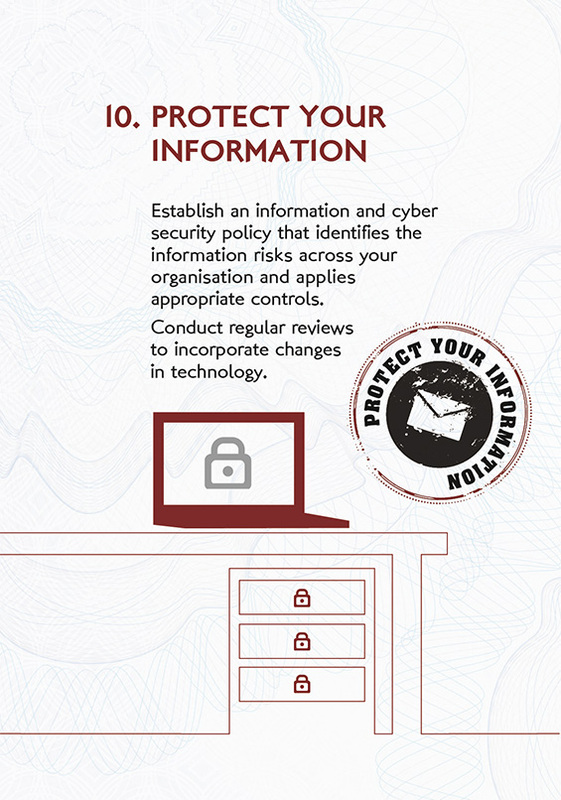 Does your organisation have clear policies on managing information/information assurance? Does the policy identify the information risks across your organisation and applied appropriate controls? Are your information assurance/data protection policies widely communicated with staff across the organisation? How regularly is your data security policy reviewed and updated? Is there adequate education, awareness and training to help staff understand data protection policies and issues? How are data/ information breaches managed? Secure destruction of sensitive items – information on the secure destruction of sensitive items.